The Lunkerhunt Yappa Series is a family of weedless, hollow body, topwater lures. 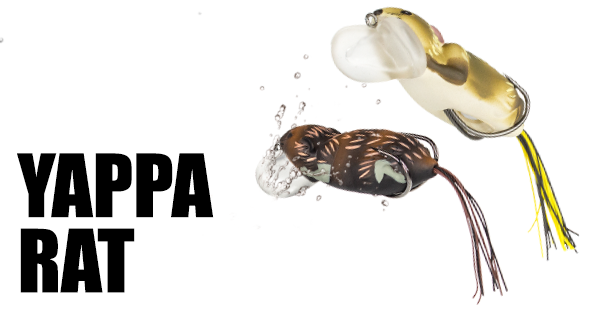 Yappa Series lures feature a transparent cupped bill that churns the water surface and generates a wide range of actions that fish can’t resist. The Yappa Rat, Yappa Bug, and Yappa Frog are made using quality components and feature premium finishes.